Finding the right person to handle jobs around your home has always been a difficult task. But now help may be on hand from an unlikely source, as a firm better known for selling you home appliances and furnishings wades into the market. 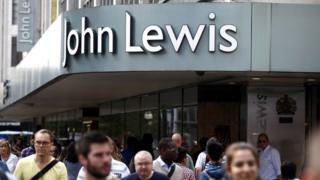 John Lewis has already spent the summer testing out its Home Solutions service in Milton Keynes. Now six other locations in England and Wales are to be given the chance to book tradespeople through the service. From 12 September, people in Bath, Bristol, Cardiff, Cheltenham, Gloucester and Taunton will be able to hire plumbers, electricians, decorators and other types of handyman (and woman) through the app, website and call centre-based service. "As a trusted retailer of home products, our customers often ask us if we can help them with tasks in their homes," said Tom Athron, who is group development director at the John Lewis Partnership. "We have taken a lot of care to find professionals who will deliver service to the standard that people expect from John Lewis." The department store chain said it had applied a rigorous recruitment process. This included interviewing the tradespeople and carrying out background checks on them, as well as viewing the work that they had done previously. All the work done will be covered by a one-year John Lewis guarantee. The initiative is part of efforts by the firm to address challenging conditions in the retail sector, as customers move online and spend less time and money in physical stores.